Last saturday I got an opportunity to watch a critically acclaimed Tulu movie ‘Suddha’ (It means ‘cleansing rites’ in Tulu) directed by Ramchandra PN, in a special screening in the city. I heard about this movie a year back when it recieved the best Film award in the Indian Competition Section at the Osian’s Cinefan Festival of Asian Films held in New Delhi in 2006. It is noteworthy to know that that competition had also featured the veteran film maker Girish Kasaravalli’s film ‘Naayi Neralu’. I would like to say few points about Tulu movies. The production of Tulu movies started some 35 years back and the number of movies made are very few. There were very good responses to the initial films. Because of the language barrier, film making in this area could not be developed in to a full fledged industry. 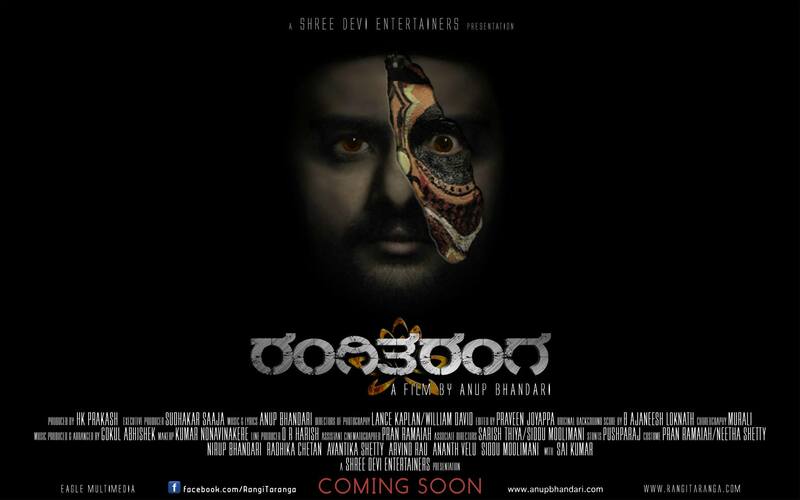 Most of the Tulu movies simply copied the formulas of Kannada films. The producers were not confident of getting their money back from their films. Tulu is spoken by the people in and around Mangalore and the market for films in this language is very limited. This movie is shot in a digital 3 CCD camera and has been filmed without any use of artificial lights. 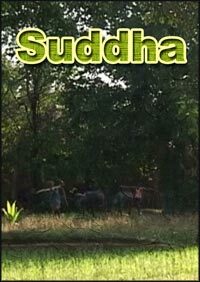 ‘Sudhda’ is the story of a rural family set in South Canara, which sees the conflict of relationship and responsibilities in a society which is on the verge of shedding the feudal system. ‘Gutthuda ill’ (Landlord’s house) used to be a very powerful house in the village with acres of land, many of servants and an authority to rule the village. The landlord has two sons. One works in the fields and the other lives in Bombay. When mother dies, her son who is in Bombay returns home. When he arrives with his wife, he slowly witnesses the hollowness of the power that his house used to enjoy once. Most of the land they owned had gone into the hands of the lower caste people who once used to work in the landlord’s field. They were given land by the government policy to end feudal sysytem. Because of this, the financial state of the house has declined drastically making it difficult even to earn their daily bread. The elder son is unhappy with his son who is a college drop-out and there is always a tension between them. The Bombay returned man is eager to finish the cleansing rites and push off to Bombay. As the film moves, we find that the elder son has an illegitimate relation with a lower caste woman, which is the reason why his son always has heated arguments with that family. As the day of the holy ritual arrives, these two brothers realize that they don’t have enough money for the cleansing rites. The elder son asks for his brother’s help and learns he also doen’t have a single penny. The landlord offers to sell his wife’s golden jewellary. Which hits the egos of two sons who later readily give their golden jewelleries. But suddenly they think that by selling a peice of their land they can get over with all their financial problems and they decide to do so. In the whole process, we see the feudal system dying. The main character of landlord is the personification of old customs. He is still being revered as the landlord, even though he has lost all his powers on the people. System might have changed, but the people are not accepting the facts. When they realize the changes, it hurts them and leaves them with only one option of abandoning the village. The two sons, the grand son and the grand daughter of the landlord are all fed up with the the village life. Bombay seems as a ray of hope for all of them. There are very special techniques used in this movie which are path-breaking as far as this region’s cinema is concerned. The film uses the chirping of birds, flowing water and folklore-like songs extensively as its outdoor sound and ticking sound of clock for the indoor sound. The ticking sound of clock and a frequent presence of radio songs, successfully create a calm village house environment. The cinematography, by depicting the mud walls, wooden carvings of windows and doors and the lush greenery of the village helps to take this film to a next level. The way the DoP has used natural lights and reflectors is very brilliant. The dark rooms of old house looks very realistic; so does the green fields. Editing of the film should be mentioned here. The beautiful way of overlapping the sound of previous scene with the next scene is adopted through out the film. All the actors have given decent performances. There are some scenes where you may feel that dialogue delivery is more like a stage performance. But at some points the actors have done a commendable job. Having won the best film award in an international platform, this movie gives an inspiration to all the independent film makers of the region to make good cinema. This movie once again shows that there is scope for honest storytelling. 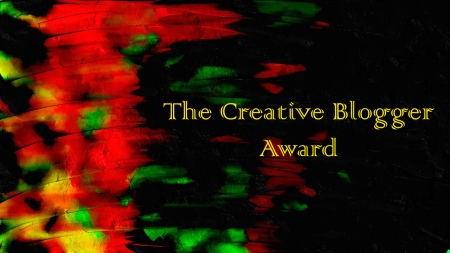 The limitation of technology should never stop a film maker from making his films. It is tad bit late to write about Vidhu Vinod Chopra’s movie Eklavya, Since it is one of the well made movies of the year, I thought I should express my views on it on my blog. Vidhu belongs to that category of directors who know the language of celluloid very well and can very ably transform human emotions into picture perfect frames. Cinematography has been at its peak in all of his movies. Whether it is Parinda, 1942 – A love story, Kareeb, Mission Kashmir or his latest offering Eklavya, camera steals the show. This holds true even for the Munnabhai series and Parineeta – the films produced by his production company. Eklavya is a dramatic thriller telling the story of a royal guard Eklavya (Amitabh Bachchan) whose family has been protecting the dynasty of Devigarh for the nine generations. Guarding the family of Rana Jayavardhan (Boman Irani) is the dharma of Eklavya; and his dharma is the matter of supreme importance for him. Prince Harshavardhan (Saif Ali Khan) returns from London to the kingdom when the Queen mother Suhasini Devi (Sharmila Tagore) dies. His sister Nandini (Raima Sen) and his childhood love Rajjo (Vidya Balan) are very happy to see him back. As the funeral rituals come to an end, Rajjo hands over a secret letter written by the late Queen to the prince which reveals a secret of the royal family. Through the letter the prince learns that, after his parents got married, the the king’s impotency has left the family with no heir. To pray for heir, the Queen had been to the Ganges for a yagna (the holy ritual). The prince who was born later was believed to be the god-gift of the yagna. But the truth was different. The prince learns from the letter that Eklavya was the real father of Prince Harshavardhan and it was kept under secrecy as per the yagna dharma. Eklavya and the Queen had taken oath to keep this truth between them forever. For Eklavya keeping this promise was dharma. For the queen, revealing the truth to prince was a way of following dharma, as she felt that the prince has the right to know his real father. The story takes twists and turns when Rana, king’s brother Jyothiwardhan (Jackie Shroff) , and his nephew Udaywardhan (Jimmy Shergil) hatch a conspiracy. They plan a big conspiracy to murder the royal guard, but eventually this plan leads to the killings of Jyothiwardhan and Udaywardhan. With all the villains dead the focus of the story shifts towards the main theme of the film – the relationships and the concept of dharma. When Eklavya learns that the murder of Rana was a planned act by the prince, he decides to do his duty; that is to kill the prince – his own son. The prince says it was his dharma to murder Rana and Dharma who he knows are the murderers of his father, the king. The prince says dharma is originated from ones mind, soul and heart; not from a rule of scripts. 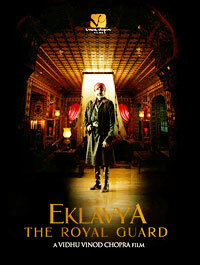 The story mainly revolves around the relationship between Eklavya and the prince. The royal family, which has lost all its powers post independence, is left with only sobriquets and palace. Pannalal Chohaar (Sanjay Dutt) resembles that downtrodden class who have been oppressed by the royal family in Rana’s regime and are using democracy to claim dignity, We also see them avenging the royal family for their inhuman acts. In spite of his hatred towards the Ranas, Chohaar has a great deal of respect for Eklavya. This character comes across as a very contemporary, unlike Rana who we see living in the glorious past. It is wonderful to see how beautifully this film talks about dharma and at the same time presents itself as an edge-of-the-seat thriller. Vidhu has taken utmost care in the developing the story which has its roots in mythology and unfolds in a contemporary set-up. The charactor of Eklavya is endearing.Jyothiwardhan and his son resemble the characters of Shakespearean plays with their viciousness. Amitabh is excellent as the protagonist, Saif brings a rare firmness to the character. It is a welcome change to see him in a film like this.. The Cinematography by Nataraja Subramanian is excellent. The cinematographer of Parineeta has gone few steps further in this film to create a mesmerising world. Music by Shantanu Moitra is good as always, reminds you of the good old time when film music was melodious. Editing by Raviraju is very brisk and effecient. The skillful editing, the cinematography and well choreographed action sequences make some of the scenes highlights of the film. Vidhu, who was once nominated for the Academy awards for his short film An Encounter with the Faces, has once again given a beautiful film. Watch out for this man, he could be the one who will take Indian films to the international market.